It is with great sadness that I review this last installment of the Odd Thomas series. I’m sad because Oddie became one of my best friends and now there are no more adventures with him… at least in this life. 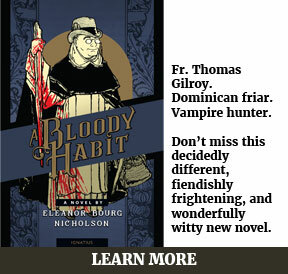 Koontz created one of the best literary characters and has given him a noble ending. Although I thoroughly enjoyed the book, I wish Koontz had written a bit more for Odd’s big send off. That being said, I still think that this series deserves more attention, especially by a Catholic audience. Odd’s character and his adventures open wide the doors to discussion on faith and morals in the modern world. 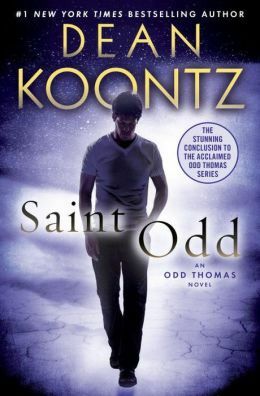 In Saint Odd, Odd Thomas must face his greatest challenge yet—to save his beloved town of Pico Mundo, California. The same Satanist cult that Odd defeated in the previous book, Deeply Odd, is plotting a scheme that will not only affect Odd’s home town, but possibly the entire world. Odd’s supernatural ‘gifts’ and prophetic dreams seem to be stronger than ever in an effort to better assist him in stopping such a tragic event. And through it all, every source of evil seems to be bent on thwarting his efforts, but no matter the impossible odds, the forces of good always seem to be greater. On his journey home, Odd continues to meet good people in a world weighed down by such corruption and greed. Odd often marvels at the existence of such people and how he will miss them once his life is over: “I would miss the kindness of good people who were compassionate when so many were pitiless, who made their way through so much corruption without being corrupted themselves, who eschewed greed in a world of greed, who valued truth and could not be drowned in a sea of lies, for they shone and, by the light they cast, they had warmed me all my life.” For someone who has carried the burden of communing with the dead for his entire life, his optimism about life and the people in it is an example to be followed. It is this very goodness in people that Odd strives to uphold and defend throughout the entire series. Lou, a carnival dwarf who also has prophetic powers, recognizes these virtues in him. When Lou’s giant friend, Ollie, asks, “What is his name?” he replies, “Truth… Mercy.” Odd has used his gifts and risked his life to defend those two things, and so much so that Odd’s humility and his mission to defend the innocent has always seemed to shield him from temptation and corruption—this is not to say that he is sinless, but simply that Koontz has created a character who may truly have earned the title of ‘Saint’. I suppose that makes the title of the book quite appropriate. 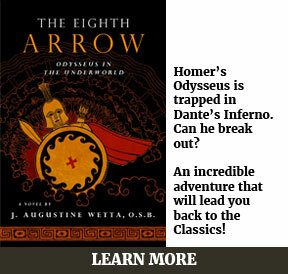 You can certainly enjoy this novel without reading the first seven, but it will hold so much more meaning for you if you know Odd’s origins and the other trials he has had to face. If you pay attention, Koontz’ character dialogue is always laced with a deeper issue and with a Catholic perspective at the center. Koontz calls evil truly evil and the good as good; there is no gray area. Barbarianism and relativism are recognized for what they are—an illusion and the absence of anything good. The Truth is the ultimate good for which Odd Thomas is an obedient soldier, even though he says he is only a ‘humble fry cook’. Koontz may not be a Tolkien or a Flannery O’Connor, but he has taken Catholic fiction to a level that few modern writers are able to reach, and my hat is off to him. Meryl Kaleida is Production Assistant and E-book Editor at Ignatius Press. She is also a guest writer for Catholic Word Report. 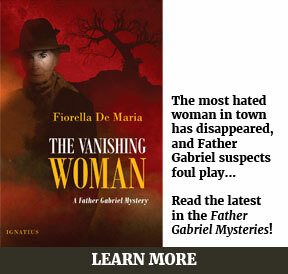 She graduated from Ave Maria University with a Bachelors in Theology and Literature. Meryl is a wife, gardener, singer, author, chef, artist and lover of truth. Her short story "I Couldn't Help but Notice" is available as an eBook. You can also learn more about Meryl on her website Kaleida House. I’m working my way through these books now, and enjoying them quite a bit. A nice read for the train ride into work! You have inspired me to read them. I have bought the lot! Oh good! I’m so glad! You both will love them!